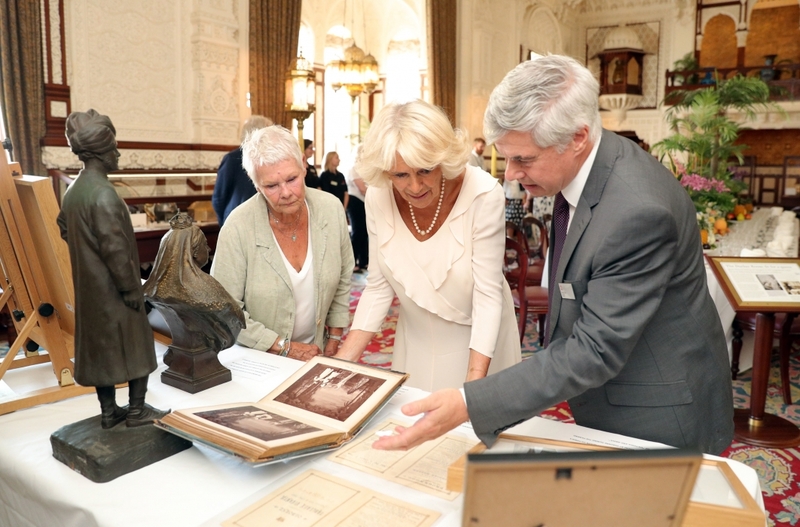 The Duchess of Cornwall today visited the Isle of Wight. The Duchess was welcomed this morning by Dame Judi Dench, the Patron of the Friends of Osborne House, and the curator of Osborne House, Michael Hunter. The Duchess then toured various parts of the estate including the Swiss Cottage, where she will met members of staff and volunteers. Her Royal Highness also visited Cowes to name a new ferry and attend a reception at the Royal Yacht Squadron. Osborne House was purchased by Queen Victoria and Prince Albert in 1845. It was one of Queen Victoria’s favourite family homes – she once said “it is impossible to imagine a prettier spot.” After the death of Queen Victoria in 1901, the house was given to the state and parts of the pavilion first opened to the public as early as 1904. It is now cared for by English Heritage and is now open to the public year round.